Fish out of water: Why does it matter that fish are migrating further? This is a behind-the-scenes story into my journey filming documentaries on marine parks and sanctuaries with my filming partner James Sherwood. The following story is about my experiences filming at the Australian Museum for our upcoming documentary 'The Map to Paradise,' a journey through time into the new era of ocean conservation and the rise of marine parks. Behind the Brick Wall There is a giant brick wall on Yurong St around the corner from the Australian Museum in Sydney. If you pass this wall on your way to work, you may have wondered what lies behind it. With x-ray eyes you'd see a honeycomb network of museum staff offices that display creative hand-drawn sketches of wildlife and faces, knitted fish toys, a black and white photo of a giant Queensland Groper being prepared by a female taxidermist, among much more. Tucked away in one of a series of collections rooms, you can find hundreds of jars labeled in Latin, and all filled with something curious. It is here, that has drawn us to film: one of these jars is about to reveal an interesting visual example of climate change. 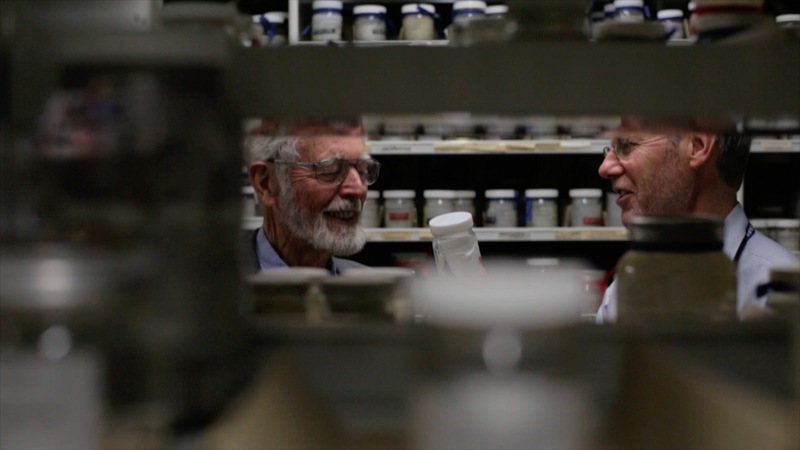 The museum's Ichthyology (Fish) Collection Manager, Mark McGrouther, and the former Australian Museum Director, Frank Talbot, are showing us the fourth largest collection of fish types in the world, with over 10,000 species. Considering that there are estimated to be 32,500 species of fish worldwide, with 4,400 in Australia alone, this is an impressive collection. Parts of the collection have previously been used as data to help design and build marine parks. But it is not the size that catches our curiosity today – It is just one tropical fish. The Australian Museum's tank area is full of large predatory species like the Goblin shark and the Basking shark. Not the type of sharks that swim around mind you, but the type that have been preserved in formaldehyde and alcohol. Mark is fishing in the tank water for a suitable shark for us to film. He fishes around the tub's internal contents for a petite Bull Shark, which is less than a meter long. 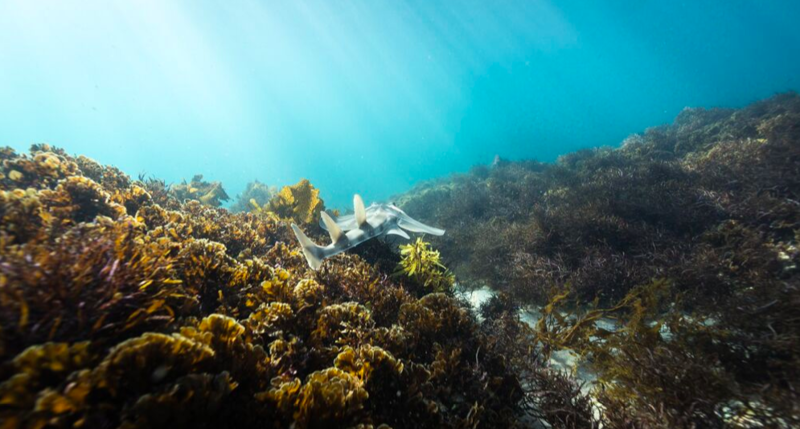 Mark responds to our interest in the smaller sharks and says, "There are hundreds of species and most people think of jaws when they see one, but the majority grow to only less than a meter long." He puts the shark down gently, and then walks over to another tank he thinks will interest us. I've sensed he knows what we are looking for. He picks up a fish with skin far more glossy and shiny than the Bull Shark; it appears as though it is a relatively new addition to the collection. It's a Humphead Wrasse that was recently brought into the museum by a local fisherman – one of a handful of locals who share a passion for science. Now, this is the fish that catches our attention! "This fish was speared in Foster. It was found outside of its distribution range," says Mark. I jump with delight and say, "so it is an example of climate change?" But to my disappointment, Mark says with a painful sigh, "Well, you can't say that…"
But before I could correct myself, Frank, who is holding the giant wrasse, peers over the tip of his glasses and says - "Oh, yes you can." Frank explains to me that fish have always been swept down from the tropical waters to the temperate waters of the south in New South Wales. But, during winter, they usually die out . The problem is that the fish are no longer dying off. [Some are now overwintering, and with increasing local temperature some will eventually breed]. 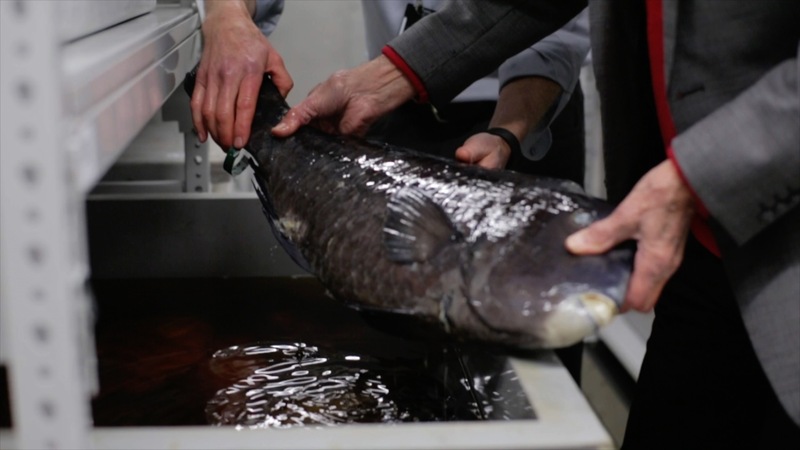 This concerns marine scientists, because these displaced fish [will] compete with other native species, and put further pressure on our already fragile ecosystem. "Anything that stresses the underwater environment, like heavy pollution or over fishing, or new species invading from the tropics, could change local ecosystems," says Frank. "The more stresses there are, the more likely it is that one or more of the accumulated pressures will trigger significant change or damage to an ecosystem." He explains that this is why we need marine parks. We need to allow areas where nature can restore itself so it can be resilient enough to fight off multiple pressures. According to David Booth, a Marine Ecologist from the University of Technology Sydney, his research team recorded 47 tropical displaced species around Sydney in 2006, and there are many more still arriving. Today, records show the number of displaced tropical species found around Sydney has risen to about 80. And we are not just seeing this migration from off the coast of Queensland to New South Wales. 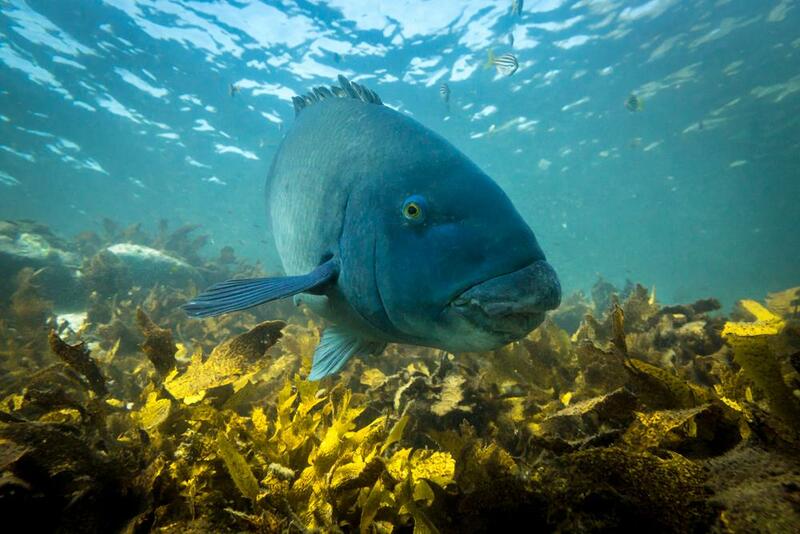 In fact, our state fish emblem, the Blue Groper, has now been found in Tasmania. "This year, at least half a dozen news species found in the wrong place have come through the museum's doors," says Mark. So as Frank continues to examine and admire the dark scales on the Humphead Wrasse, I document this conversation about climate change, which the wrasse's majestic presence has inspired. Of course, each specimen inside the museum holds clues, which can unravel some of our planet's newest challenges, but for me, it is the humphead wrasse that is special today. So, next time I walk past the giant brick wall of Yurong St, I will look at it with fondness. I will muse over the richness of unrecorded whisperings of what a particular specimen might mean for civilization, for culture, and for the future of our planet. I will likely touch it gently just as if it is a giant treasure trove of history, caring for the once tropical blue, humphead wrasse forever in its life after death. Read this next: Could Coral Gardening Be The Key To Reef Conservation?